Indeed, would seem to be a reference to the Nagas. Am i the only person to have explored through the H5 editor? I believe it's supposed to make itself available in the replays section after you finish Freyda's campaign (or whichever scenario it was meant to appear in). You can only view it from there since Nival's scripters were too foolish to include it in the campaign itself. I'm surprised it's new to you guys since we've known about it for over a year. I had already written about it here and I think was reported somewhere at Celestial Heavens before that. If they aren't in an Oriental style then what is? where are these from? Because the first one looks like one of the Warlocks that ended up as one of the Warlock campaign heroes if you ask me! Exactly, they're all from the same artist. Adrian Smith is his name. You can buy higher-res, physical versions if you have a few thousand euro. I've already started archiving the previews on the MM wiki. Yes, that was a shameless plug, well spotted! I thought perhaps the Naga artwork posted above what was became the Warlock hero, but I can see there was a separate artwork for that one - even if it might simply be reworked from the Naga ones. Hard to say. Do feel free to ask him. Very, very good find Cepheus. Actually I wonder how does everybody find the style of the Sanctuary (Nagas). Heh, thanks for the praise. 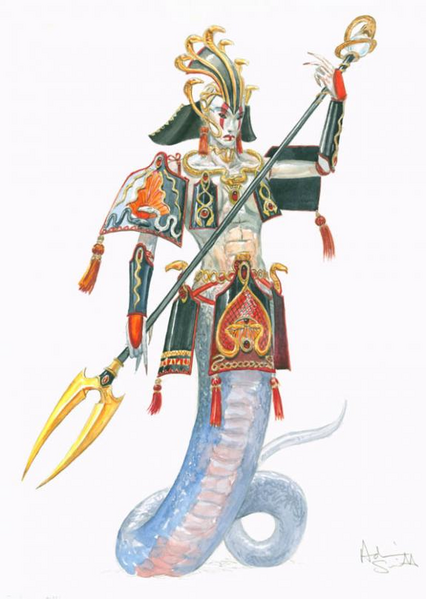 Actually I really like the design of the Nagas. Even if they're aquatic, that take on them is far enough from Warcraft III's style to prevent anyone from calling it a blatant ripoff, and plenty unique in itself. The theme fits quite well, plus making them swordsmen stays nice and true to their old H3-4 forms. I can't form a real opinion on the prospective faction itself until the rest of the creature lineup is known, though. Nival left a lot of useless junk in the HV data. While some turned out to be relevant (Snow Ape, Naga, Crystal Dragon), I don't see anything else being of value, mainly since they're no longer our series developers. Somewhere in the depths of Bin. See here. IMO, the producers should ask for our opinions later on, like when Blizzard let the fans choose which model of Dark Templar should be in Starcraft 2. I really wish we had that type of poll to choose between the treant models (the one from the beta/demo was way cooler). Well, it does seem like Clash of Heroes is delayed (though I have no idea why is that necessary, other than to gain more time for marketing purposes, or simply to push the release into the fourth finance quarter. And just a note on the treant: not like you had a choice really. The model had to be changed due to copyright issues (it looked to similar to a unit for Warhammer if I remember correctly) so it was either the one you got, or a simple "treebeard like" design. How did H5 sales compared to H3? Will they try something similar to H3? I hope one day these questions will be answered with a "No comments" and a "Hell yeah". That's an interesting question, so I decided to go on a hunt for old info. I could find nothing on Heroes III's final sales figures, but more importantly, I found out that it topped the charts (presumably US) at #1 and definitely sold well. On the other hand, we already estimated Heroes V's sales at Celestial Heavens - at over 2 million copies worldwide, which is excellent for a TBS (discounting anything with Sid Meier's name on it ). It peaked at the #3 position in the GameSpot charts, and hit the top of the charts in the UK. Both sold very well, definitely enough to warrant more sequels. There's no chance that a fear of crappy sales will hold back the development of the next game. They do develop, but remember that the game still has to be a Heroes game. Don't expect it to change too much just like that. Of course the problem with Heroes V was more in-depth because Ubisoft had to restore the community both of Heroes III and IV and somehow scale the whole thing. Heroes VI will have more innovations believe me. As much as Heroes V might have been considered just a little evolution of the system known in Heroes III, Heroes VI is supposed to be more of a revolution in the history of the game. Yeah, it's a pity things aren't as they were when Fabrice was in charge. He personally took the time to post on the forums and interact with us to gather suggestions, unlike the current head producers. Unless... Dexter, do you know an Erwan? Some of you really amaze me. First you say that you don't want Heroes to copy ideas and concepts from other fantasy lores, but on the other hand you say that certain things should or should not be because it's not right according to a certain lore (like the thing that dwarves reproduce at a lower rate than humans and elves). Treat Heroes as a world on itself. The world coordinators want to have an interesting place for the game to exist in, which would also be somehow consistent. For example: You say the dragons shouldn't fit with Dungeon living underground, I say it's the best place for the children of Malassa, the Dragon of Darkness. Everything has its place. And remember that the creators of the game have to look at the whole thing differently, not forgetting that the idea is to create not a single game but a series in which the factions change or evolve. Not to mention that actually the factions in the former Heroes games were based upon the science-fiction idea of the fall of different nations and worlds. They were all aliens. Think about it for a moment. And remember that certain creatures changed alliances every now and then without any apparent reason. First you say that you don't want Heroes to copy ideas and concepts from other fantasy lores, but on the other hand you say that certain things should or should not be because it's not right according to a certain lore (like the thing that dwarves reproduce at a lower rate than humans and elves). I guess I should explain myself; of course it needn't be the norm that Dwarves reproduce infrequently (though it is pretty universal) but a unique spin on a fantasy race does not equal abandoning the basic conventions that make it what it is. You can't reasonably for instance take a race of hammer-wielding frogmen and then call them Elves. There would be no problem with dwarf overpopulation ( ) in H5, but only if it actually remained retroactively consistent with the lore of the world so far instead. In Heroes V's interviews I think we were told Dwarves were a low-populace, insular race who rarely ever leave Grimheim which is why (lorewise) not one Dwarf showed up until HoF. But when you take a look at the finished product there are several hundred thousand of them running around the countryside. For example: You say the dragons shouldn't fit with Dungeon living underground, I say it's the best place for the children of Malassa, the Dragon of Darkness. Everything has its place. Yes but Black Dragons are a given staple for the series, while Malassa isn't. The world coordinators chose to wipe the painting we started with and bought a blank canvas; their vision is only as consistent and well-placed as they make it and if they somehow box themselves into a corner through their own work, it's no-one else's fault. This is a non-argument anyway though since I think the Dragons are fine where they are. One thing I had trouble understanding was Angels as one of the first races, though - how come Elrath's "race" is inherently hundreds of times more powerful than anyone else? Treat Heroes as a world on itself. The world coordinators want to have an interesting place for the game to exist in, which would also be somehow consistent. Well, I really feel they've failed on this one and I can back up the idea that a lot of the online community thinks the same way. So far, Ashan just hasn't been much of an impressive, unique or immersive world. This is why I'm against "executive meddling" when it comes to content - 3DO executive meddled after Heroes III, reducing monetary support and shortening development deadlines to nine months, and everything NWC created after Armageddon's Blade suffered as a result. Ubisoft however are far more benign than 3DO, I believe (they are handing out seals of approval to fans, not imposing short deadlines, etc), but I still feel they're acting like idiots in forcing Ashan upon the series because it's a much narrower setting than what is possible. Agrael, Isabel etc all came out of Ubisoft HQ, not Nival, and they certainly didn't win any awards. 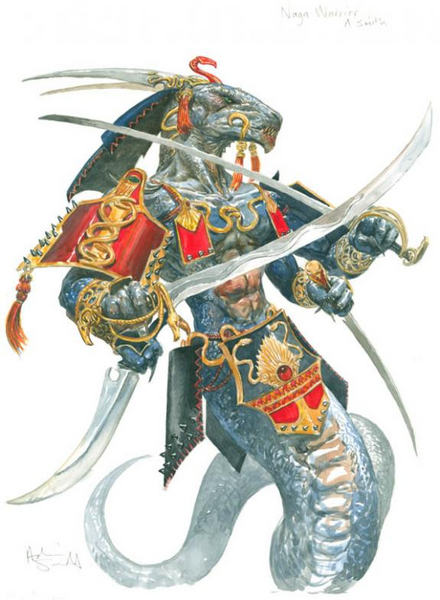 If Ashan is the best they can deliver (I have faith that it's not) I would rather they scrap continuity and return to things like the Price of Loyalty expansion where stories just existed in and of themselves. I think whoever our new developer is should at least be given the freedom to write some of the story: Le Breton and Richard Dansky singlehandedly came up with the basic outline of the entire H5 storyline, as far as I'm told, but a lot of it was poorly delivered because, since they worked externally, it wasn't always too consistent with the game itself (e.g. the "Vampire's Garment", a red herring McGuffin from Markal's campaign which didn't exist in the game itself). Dan Vader from Capybara has apparently been given a hand in the Clash of Heroes story though so things are looking up at least. Heroes (V) certainly is a world in itself but it was created by people from this world who are capable of screwing up a title badly should they constrain an element of development which affects the entire game. You're definitely more informed on their actions than I am, this is just my humble-ish perception. 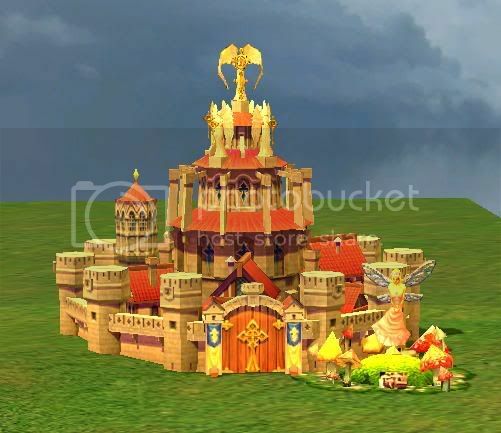 and your all leaving out the posibility that the developers might have another retcon so they can bring back the homm3 universe and leave homm4 a bad memory. Would you be happy then? Nonsensical retcons don't make anybody happy and I'll have you know that Heroes IV had some of the best campaign storylines in the entire series, and probably some of the best in the TBS genre, regardless of gameplay or whether it blew up the planet. The storyline was never a negative issue for that game and I think Nival was pushing to continue it at an early stage. Also, Ubisoft are apparently never looking back - they're in love with Ashan to the end.